"If you thought about him too much, you wondered what the heck he was still living for…But if you thought about him just enough and not too much, you could figure it out that he wasn't doing too bad for himself." "I mean it. I'll be alright. Don't worry about me…I mean it. I'll be all right. I'm just going through a phase right now. Everybody goes through phases and all, don't they?" "If I were a piano player or an actor or something and all those dopes thought I was terrific, I'd hate it. I wouldn't even want them to clap for me. People always clap for the wrong things. If I were a piano player, I'd play it in the goddam closet." "Goddam money. It always ends up making you blue as hell." "He was singing that song, 'If a body catch a body coming through the rye.' He had a pretty little voice, too. He was just singing for the hell of it, you could tell. The cars zoomed by, brakes screeched all over the place, his parents paid no attention to him, and he kept on walking next to the curbing singing 'If a body catch a body coming through the rye." It made me feel better. It made me feel not so depressed any more." "you kept wondering what the hell would happen to all of them. When they got out of school and college, I mean. You figured most of them would probably marry dopey guys. Guys that always talk about how many miles they get to a gallon in their goddam cars. Guys that get sore and childish as hell if you beat them at golf, or even just some stupid game of pingpong. Guys that are very mean. Guys that never read books. Guys that are very boring." "If you do something too good, then, after a while, if you don't watch it, you start showing off. And then you're not as good any more." "Did you ever get fed up?…I mean did you ever get scared that everything was going to go lousy unless you did something? I mean, do you like school, and all that stuff?" 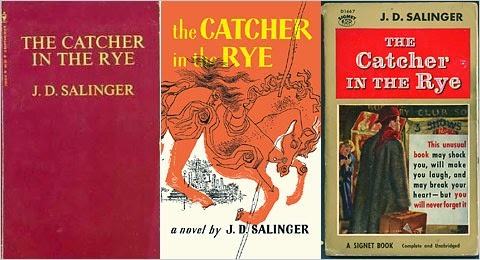 Salinger, J.D. 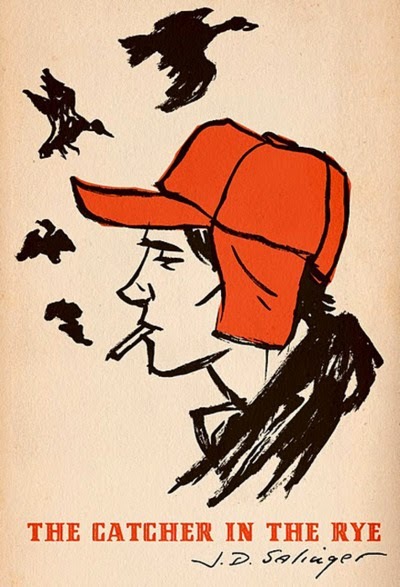 The Catcher in the Rye. New York, NY: The New American Library of World Literature, Inc., 1953. Print.